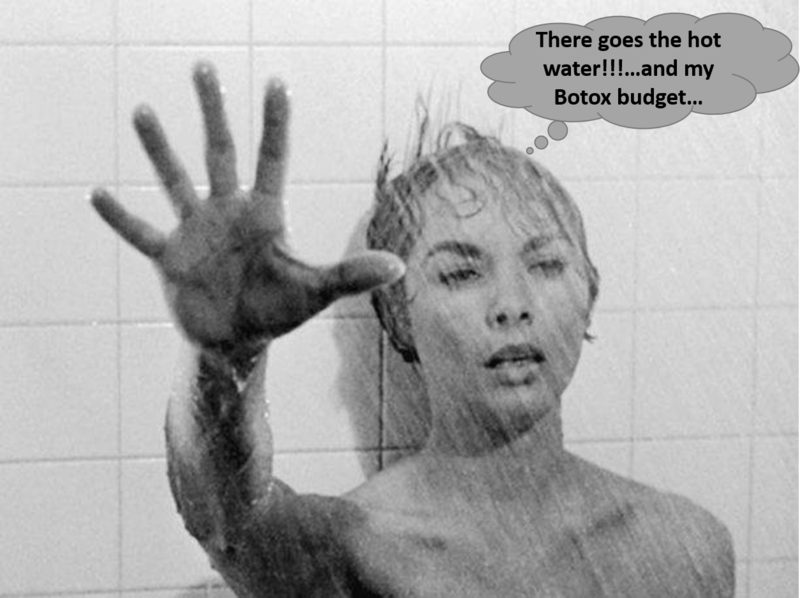 Did I ever tell you about the time my Botox budget was blown on a plumbing bill? No? Well, our hot water heater - a mammoth 400 litre tank housed precariously in an upstairs cupboard - truly an accident waiting to happen, one day just coughed, spluttered and then died. Naturally this happened on the weekend, between Christmas and New Year. It cost a bomb and almost the plumber's apprentice his life during it's removal. OK maybe he would have just broken several necessary limbs.. I forget how much they said it weighed empty, (perhaps as much as Arnold Schwarzenegger; definitely as bulky), but be assured it was a lot, and being two meters tall it couldn't go down our narrow stair case. So they had to remove the lacework balustrade on the balcony and lower the empty tank on ropes to the ground. Which is where it almost took a life, being too heavy for the man upstairs. Fortunately Mr Frenchie saw his sneakers sliding toward the balcony edge and quickly grabbed him around the waist, thus saving him from an untimely end. Well if we thought our tank was heavy, the invoice was weightier, and I was forced to empty my slush-fund: the one where I'd been saving up for Botox. 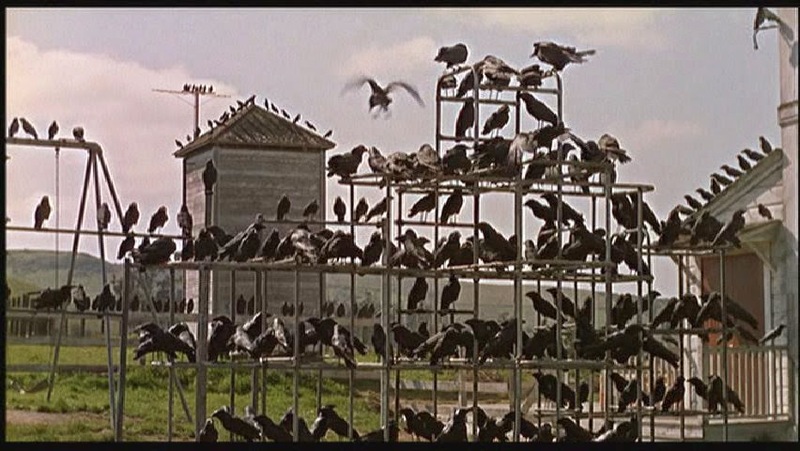 So I enjoy warm showers again but I have more crows feet than Alfred Hitchcock's other shocker; The Birds. 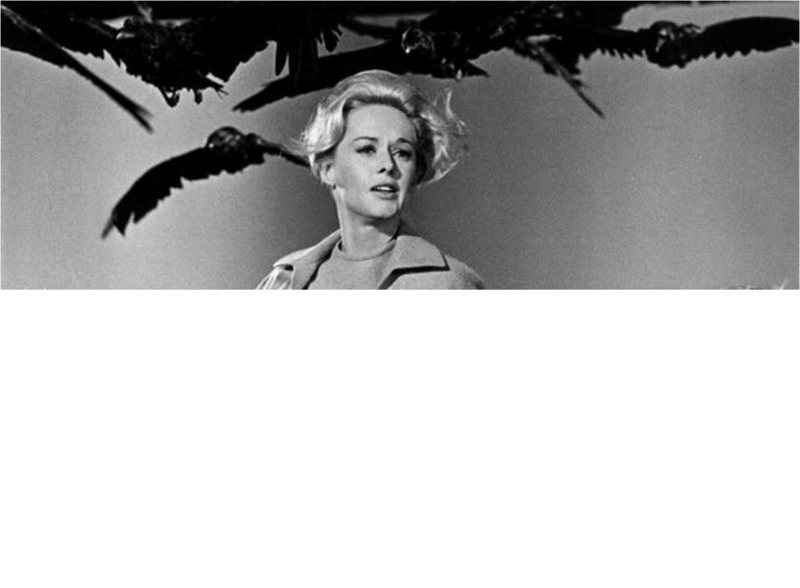 My crows' feet would give Tippi Hedren nightmares. But this story is not about my crows' feet, or Alfred Hitchock or even the exhorbitant cost of holiday plumbing emergencies. This is actually about the hole that was left behind and what I have done with it. So in the aftermath, I was left with a two meter tall by one meter wide box behind doors. I thought, how about the Mother, Father and Fairy-God-Mother's of all linen cupboards? My next thought was of the wobbly ironing board I have on the back of the downstairs powder-room door where the iron's cord only just reaches from the laundry..
My genius cabinet makers, piano-hinged my existing doors to become bi-folds to the wall and built a drawer that pulls down and into a fold-out ironing board. 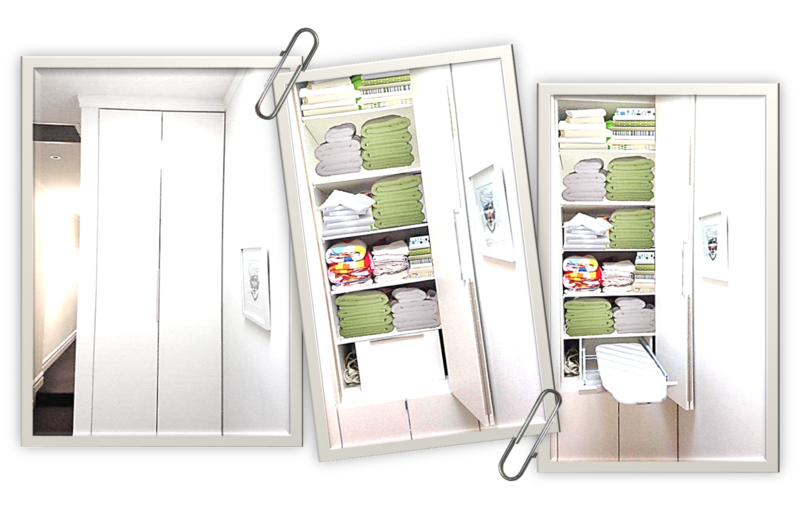 Now I have more cupboard space, and I can get rid of the wobbly back-of-door-ironing-board- eye-sore in the powder room. But I still have terrible crows feet. Ha ha! I'd go for more cubbard space over botox any day.